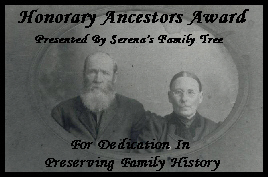 This great collection of the Howard Clan family history and genealogy was contributed by Patrick K. Best. The Howard Clan were some of the original homesteaders of the North Bend District (in the Frenchman Butte area), which is just northeast of Lloydminster, Saskatchewan, Canada. The Family tree of the Barker's and Atkinson's, who came together when Thomas James Barker and Alice Jane Atkinson were married on 7 December 1886. They became homesteaders in the area known as Carnduff, Saskatchewan. They too became the patriarch and matriarch of a very large family. It is hoped that you and many more people enjoy this history that this clan went through everyday to strive to live and provide a great part in making the history of Saskatchewan come alive. All of this information was put together by Patrick K. Best to keep our heritage alive so more people can read how the pioneers of our great country really lived through their struggles of life every day of their lives. NOTICE: These electronic pages may NOT be reproduced in any format for profit or presentation by any other organization or persons. Persons or organizations desiring to use this material (including notices and submitter information), must obtain the written consent of the contributors: Patrick K. Best or the legal representative of the submitter and contact the listed Lloydminster Gen Web Region Project web master or Saskatchewan Gen Web Webmaster with proof of this consent. We encourage links to Lloydminster Gen Web or Howard Family Tree Web Pages. You are our [an error occurred while processing this directive] visitor-- thanks for stopping by!